OMG it's Jessa's mini me!!! He looks exactly like her! He is so stinkin' cute!!!! What an adorable little chunk! I can see s resemblance to His cousin Israel. That is exactly what I was thinking, they have a similar nose. It must be the girls' nose that they both have or I don't know really, but they look similar! But sooo cute! He looks like his mommy. Thank you so much for sharing your precious gift from God with us!!!!! Spurgeon is an absolute delight!!! No VIDEO of Ben singing to Spurgeon!! 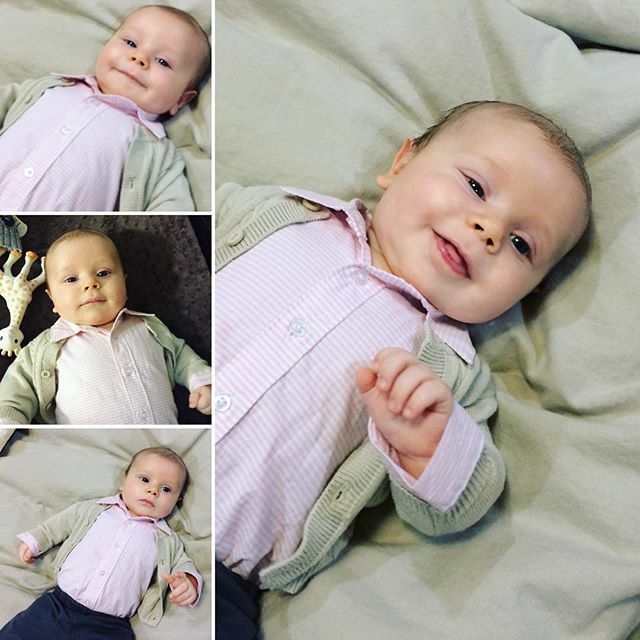 He is a darling baby, and so lucky to have you two as parents! My goodness! Baby Seewald is so adorable. We knew he'd be a cutie with his parents genes though. He is a very BEAUTIFUL baby...thank you for sharing the pictures. Jessa needs a bang trim, they are right in her eyes! I know - I saw that & wondered what magazine she was posing for. That's the latest style ladies- I like that she is fashionable_ not your typical Duggar look! Maybe we can let Jessa decide when she needs a bang trim. Just sayin'. She's a busy mom! Aww, little Spurgeon looks like Israel! 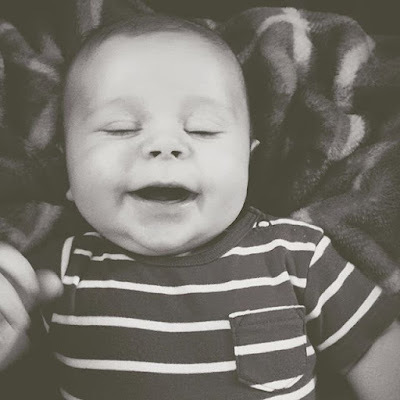 He is such a sweet baby and Jessa and Ben are amazing parents. It's evident how much they love him. Thanks for sharing!!! 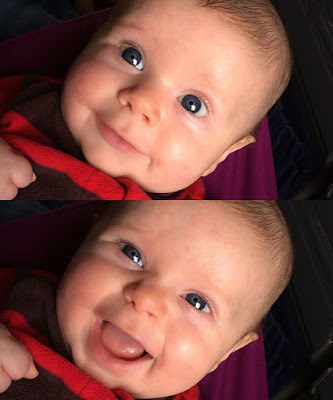 He is so handsome and seems to be such a happy baby what an Awesome Smile he has, seeing these have made my day. God Bless You All! Absolutely precious! Thank you so much for sharing. God bless them all. I think Spurgeon looks like Ben. He is so cute. Looks just like mommy! So. Stinkin. Cute!!! Baby spurgeon is beyond adorable!!!! A very very handsome and beautiful baby!!!! Oh my goodness, he looks so much like Israel. They could be twins!!! He looks a lot like Israel! What a cutie pie.God bless. The pictures are so adorable and Spurgeon looks like mom from the nose up and he has his dads smile it looks like. I also HAVE TO SAY that video at the bottom is the most sweetest thing I've ever watched on this blog, daddy singing to his lil boy. And Spurgeon's lil voice trying to sing, how sweet! I wish Jessa could say no to the fast food. This beautiful baby is already overweight. That's pretty unnecessary and also inaccurate. It's called baby fat for a reason. Babies' bodies are soft and mushy; they're not firm and muscular like a fit adult. It's call a breast fead baby...they usually have more HEALTHY baby fat...seriously are we really gonna go there? Keep your skinny babies. I like them healthy and pudgy. always best to have a couple of ounces over....they lose weight so quickly if they get sick. Spurgeon is NOT overweight. 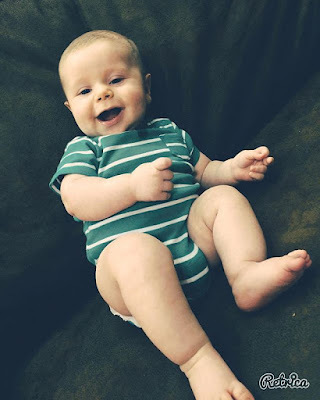 My nephew was a chunky (but adorable!) little thing, and he was entirely breastfed. He was much chubbier than Spurgeon! Now that my nephew is getting more mobile, he's thinning out. Some babies are chubbier than others - doesn't mean they're overweight! Seriously, comments like that are uninformed and just uncalled for. What an ignorant thing to say. First of all, how do you know they overdo fast food. Secondly, it's not like she is shoving a Big Mac at him. He is Brest fed. Thirdly, brest fed babies can be chunky but very healthy. To see what he will look like, check out his parents. They are beautiful. Spurgeon is beautiful. Oh my gosh, how sweet is that! I still can't believe they named him Spurgeon. Yep. I have to agree. But it's their prerogative. Yup--thankfully he is so cute so his name won't be a hindrance! He's so sweet!! looks almost identical to his cousin Israel! love that he's a combination of both! God bless each one of you Duggars! He is so cute!! He looks like Jessa. You can tell Israel and Spurgeon are cousins! It's the shape of the eyes. Definitely "Duggar" trait. I think Spurgeon is cuter though. He is one of the most beautiful babies I have ever seen. He looks like a Cherub. PLease do not blanket train Spurgeon. Discipline is essential. Blanket Training is not. Again, so cute and chunky. God Bless. This baby looks identical to Jill's baby. I know that seems to be the general consensus, but I don't think they look anything alike. Both beautiful, but definitely there own little men. Quincy is adorable. I refuse to use the name Spurgeon and will call him Qunicy. he is so cute and will be bullied with that name. His name is Spurgeon people. You don't have to like it. Can we please move on? Lol :-) I call him Ellliot. You've been blessed! You have such a beautiful family. 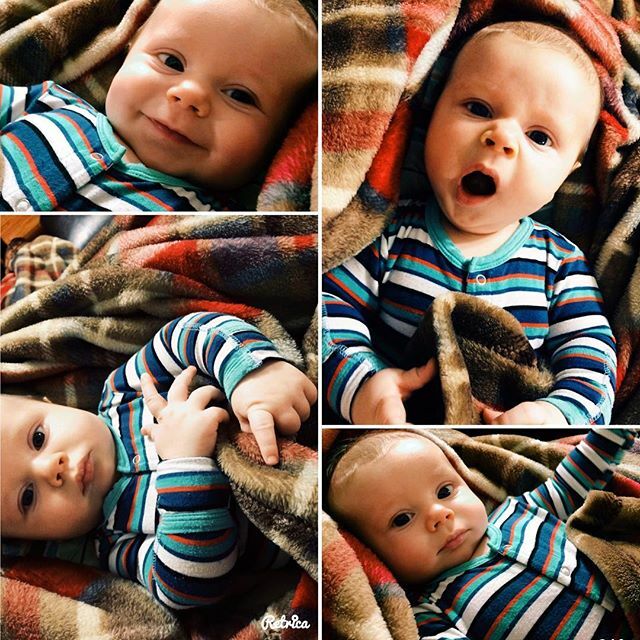 Such a cute baby! Thank you for sharing your lives. God Bless always! sorry, Ben...he's a Duggar! And adorable! Looks alot like Israel. They look like brothers instead of cousins. Very cute!!! Cute kid. But the Duggars should not publish pictures of their minor children. It is a privacy issue. Their children are too young to give premission. Their right to privacy should be respected. Do the Duggars have 19 kids or 2? All we ever hear about recently are Jill and Jessa. 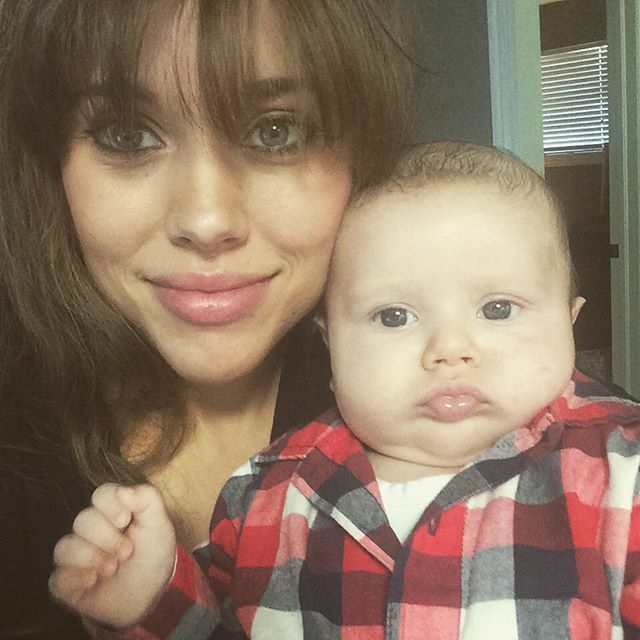 Ben and Jessa appear more gentle, loving, and engaging than the rest of the Duggar family. 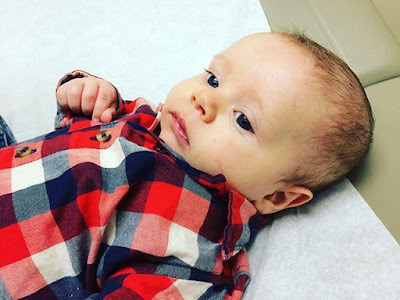 I don't know how Ben was raised, but hopefully not as restrictive as Jessa--hopefully with great big bear hugs and lots of kisses and kindness. This young couple seem to be very much in love with each other, and their beautiful son Spurgeon. My hope is there will be a lot less focus on "what we don't do" and a lot more freedom to just live happily.